Adventure in the world of Telara as either a noble Guardian or technomagical Defiant and enter a dynamic fantasy where 8 primal forces battle for control in an ever-changing landscape. Build your own class using the Ascended Soul system and embark on epic conflicts that bring you into the story, taking your RPG experience to new heights of achievement and excitement!Massive Dynamic Battles: Invasions unfold zone-wide, creating epic conflicts that bring you into the story! Save the world now alongside hundreds of other players or fight to reclaim lands from invading hordes.8 Primal Forces: Creatures from the Air, Earth, Fire, Water, Life, and Death planes battle for control of the world of Telara! Two warring factions—the Guardians and the Defiant—face off against each other and fight extra-planar creatures as they seek to save the world. 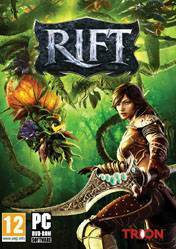 There are no comments yet about Rift: Planes of Telara . You can be the first one!